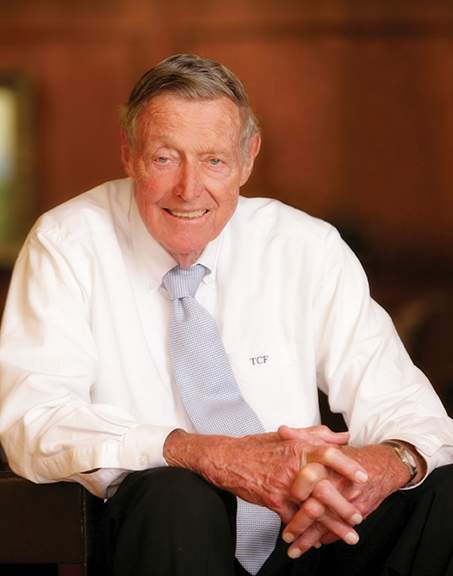 Tom C. Frost, Jr., who passed away at age 90 on Friday, Aug. 10, 2018, was a true San Antonio icon and an amazing banker and philanthropist. He was also all San Antonio. Born in 1927 at Santa Rosa Hospital, he attended San Antonio Academy and graduated from Texas Military Institute (TMI) in 1945. Back then, TMI was located in Alamo Heights. He and Patricia, his wife of 67 years, lived in 78209 and also spent time on their ranch in Boerne. After serving in the U.S. Army, Frost graduated from Washington and Lee University in Lexington, Virginia. He was the fourth generation of Frosts to lead Frost Bank. The bank was founded 150 years ago by his great-grandfather Thomas C. Frost. Even after he retired from his leadership post at the bank in 1997, Frost stayed active at the bank and in the community. He was a cheerleader for San Antonio, serving on numerous boards and helping to attract major events and business to the city. Frost played an influential role in making Hemisfair ’68 a success. His support also helped bring about the South Texas Medical Center and the AT&T Center. He actively participated in and chaired countless boards through his extensive community involvement, including the McNay Art Museum and the San Antonio Livestock Exposition – the Rodeo. Frost was friends with corporate and political leaders, but he was never above connecting with people no matter where they were in life. Just ask Rudy Alvarado, manager of the parking facility inside Frost Bank at 145 N. Main. 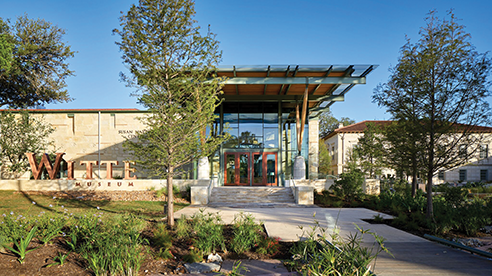 The Witte Museum was recognized with the 2018 Certificate of Excellence Award from TripAdvisor, the world’s largest travel website. The award is based on the quality and consistency of reviews and opinions earned by guests on TripAdvisor over the past year. Only the top-performing 10 percent of businesses listed on TripAdvisor receive this recognition. The Witte sits on a 10-acre campus at 3810 Broadway in 78209. For more on the Witte visit www.wittemuseum.org. Hearthstone BakeryCafe™ Buys Crumpets on Harry Wurzbach Rd. 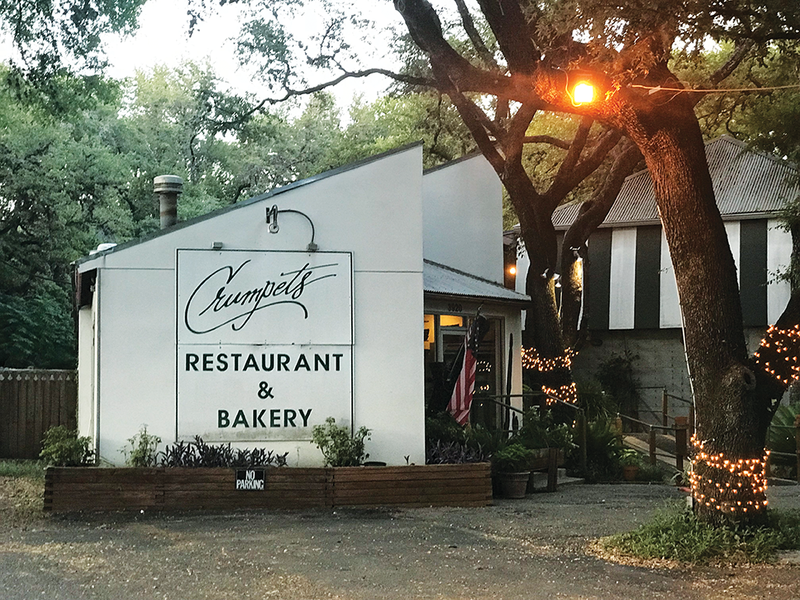 When Crumpets Restaurant & Bakery owner and chef Francois Maeder announced he was closing his restaurant, local restauranteur Jason VandeBerg took notice. VandeBerg said his company has thought for the past few years about acquiring their own property, rather than leasing. With Crumpet’s going on the market, he said it was the right time and right place to open their concept there. VandeBerg plans to spruce up the interior and exterior, as well as bring in a professional arborist to examine the grounds. Some of the plants and trees are very stressed and may need to be removed to encourage healthier growth for other vegetation, he explained. VandeBerg is planning to open the new restaurant at 3920 Harry Wurzbach Road in mid-January. When several tornadoes slammed into the Oak Park-Northwood neighborhood on Feb 20, 2017, Horsepuppy was literally lifted out of his yard on Forest Hill Drive and dropped into the street. McLernon called a lifelong friend, Stuart Seal, who lives not far from her house. Horsepuppy stayed with Seal for three days, before McLernon moved him to a friend’s acreage in Seguin, where he stayed for three months. Meanwhile, McLernon and dozens of neighborhood volunteers repaired her fences and cleaned up the yard. 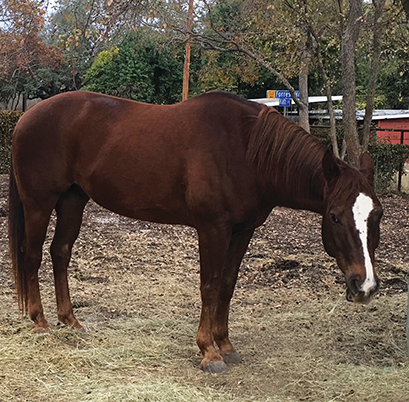 As word has spread about Horsepuppy’s laminitis, McLernon said, she gets posts on NextDoor, plus calls and texts, with people sending well wishes and love.